Form classes ranging in size from under 20 to 32 meet at the beginning of each day before assembly and, in the case of junior classes, will remain together for their core subjects. All young men are allocated to one of the six school clubs. Boys of the same family are placed in the same club and this extends to fathers and grandfathers who are old boys of the school. The School operates a unique Leadership Programme, the Barrowclough Programme, from Year 9. This is a compulsory programme that aims to establish and develop positive ‘leadership’ and ‘followership’ skills that young men transfer to all aspects of their life. Opportunities for leadership will present themselves, such as captaining a sports team, cultural group, academic team or club. The Student Forum and school prefects, chosen each year, provide a further example of leadership to the entire School. All young men are expected to display personal leadership qualities by having the confidence to be their own man. Experienced teachers ensure that all aspects of School life remain dynamic and stimulating, yet vital and consistent. The School’s deans, guidance counsellor and other support staff ensure that the immediate pastoral needs and general welfare of each young man remain paramount. 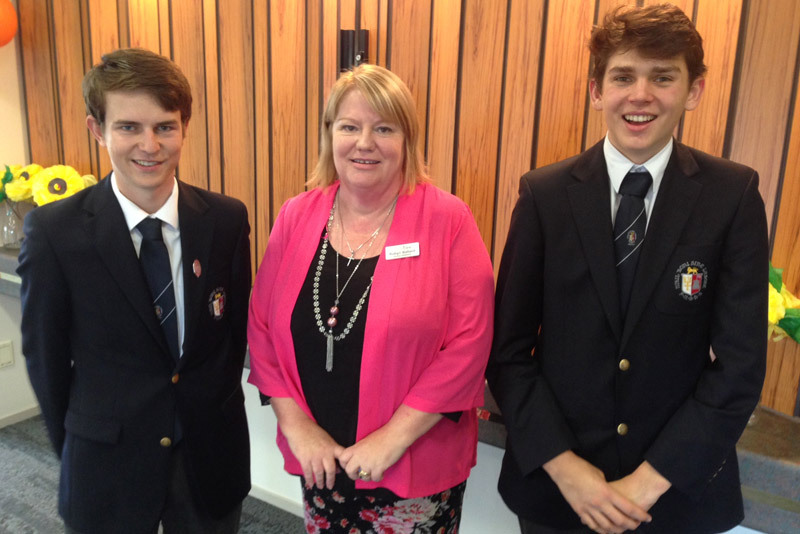 Comprehensive and expert career and tertiary study advice is available to all young men. Senior students are interviewed and guided into making appropriate subject choices that align with their future pathways. The encouragement and support that parents and caregivers provide for their sons is a major factor contributing to their overall achievement. Honest and open communication between School and parents is vitally important. Contact from School occurs by regular newsletters, notes in School diaries, emails and other written information from teachers, deans, coaches, managers, counsellors and senior management as necessary. Parents are invited to the School to discuss their son’s progress in Terms I and III and written reports are sent home in Terms II and IV. Fortnightly tracking reports are compiled for all junior students allowing parents to closely monitor their son’s progress. Online ‘Parent Portal’ provides parents access to assessment and attendance information. Conversely, parents should feel welcome to contact the School on any matter concerning their son’s welfare or progress. An energetic committee ensures that old boys have the opportunity to maintain links with the School through various activities and communications. An annual dinner and sports fixtures, allow Old Boys to maintain and extend friendships. The Parent Teacher Association is active in fundraising and providing support for key School events. Their important role in the School helps develop relationships between parents, staff and young men.